Tadano America is pleased to announce the appointment of Scott-Macon Equipment as a distributor for Tadano crane products. 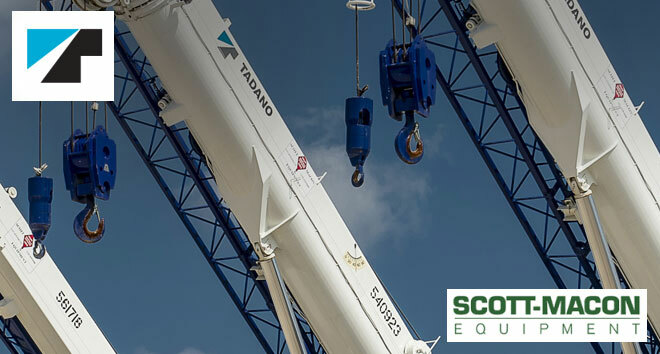 Scott-Macon Equipment will be responsible for the sales, marketing and customer service for Tadano’s crane products in the states of Texas and Oklahoma. “Scott-Macon Equipment is an established crane sales and rental organization that will solidify Tadano’s strong market position in Texas and help to expand our footprint into Oklahoma. Our mutual commitment to customer service brings significant value to those markets and customers,” remarked Ken Butz, General Manager of Sales for Tadano America. “Scott-Macon Equipment and Tadano have been successful partners for many years starting with the Tadano Mantis line of hydraulic tele-crawlers. We are excited about the opportunity to formalize this representation of Tadano’s rough terrain and all-terrain cranes”, said Bob Dimmit, Senior Managing Director of Scott-Macon Equipment. Established in 1993 in Houston, Texas, TADANO America Corporation is the strategic base for sales of rough terrain cranes and all terrain cranes for the North American market. Tadano America has dedicated customer service office locations located in Houston, Texas and Edmonton, Alberta providing direct-to-customer product support. Tadano’s corporate office, located in Houston has 46,000 square feet of warehouse space for parts and storage. Tadano’s core values focus on safety, quality and efficiency. Tadano’s products are available through a broad network of dealers, agents and partnerships. 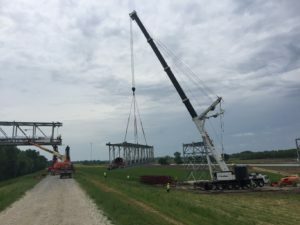 Tadano America Corporation is a subsidiary of TADANO, LTD.
With over 40 years of providing lifting solutions to its customers, Scott-Macon Equipment has been built on a foundation of outstanding customer service and product support. The company’s operations include the sale, rental, and servicing of a wide variety of lifting equipment including rough terrain hydraulic cranes, all-terrain cranes, boom trucks, truck cranes, crawler cranes, industrial carry-deck cranes, specialized hydraulic crawler cranes, material handlers, and aerial lifts. Scott-Macon Equipment supports its customers with rapid 24/7 response through a large equipment service operation with service and parts centers throughout Texas, Louisiana and Oklahoma. All Scott-Macon service centers are staffed with knowledgeable factory-trained service and parts personnel to assist customers with their lifting equipment maintenance and repair needs.